We collaborate in projects and developments with rolling-stock manufacturers and operators and administrators of rail infrastructures. We have the specific know-how, experimental means and tools to meet the needs of the rail sector. We develop new products by interacting in the conception of components, the selection and characterisation of materials, the definition of the production process, and the design of prototypes. We define solutions and methodologies to improve the structure and equipment of vehicles, striving for the comfort and safety of passengers and drivers. We generate knowledge and provide technical solutions to enhance the vibration behaviour of mobile material, thus improving on-track behaviour and the quality perceived by passengers. We analyse the behaviour against impacts of vehicles in order to incorporate new materials and energy absorption systems. 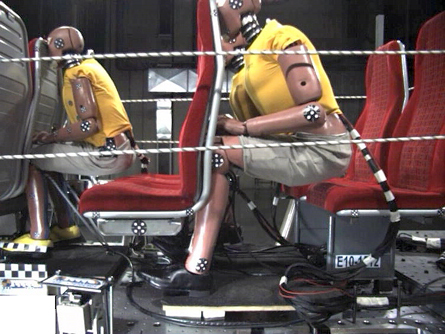 We provide safety criteria based on our research into accidentology and human factors analysis. We work on incorporating lighter materials allowing to maintain or enhance the dynamic and structural behaviour of vehicles. We provide technical solutions and strategies for the efficient cooling of mobile material and the efficient refrigeration and ventilation of components. 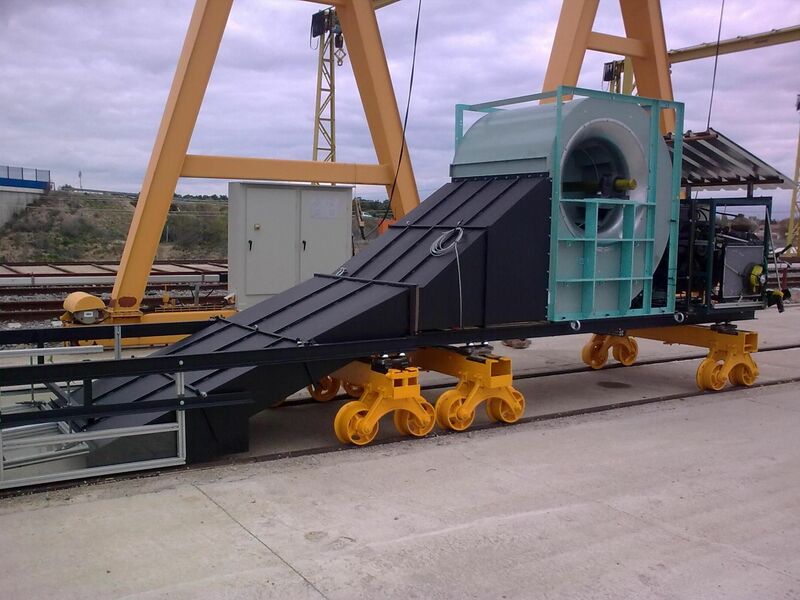 We do research into new materials and solutions for reducing the vibrations and noise levels generated by the passage of trains into the surroundings. 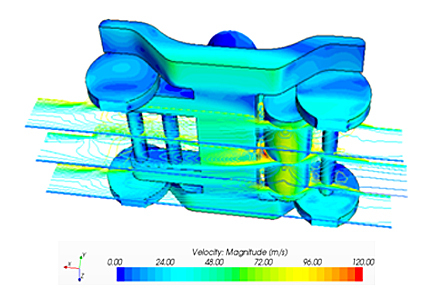 We have the most advanced calculation and simulation tools for designing products and defining the processes most suitable for the sector. 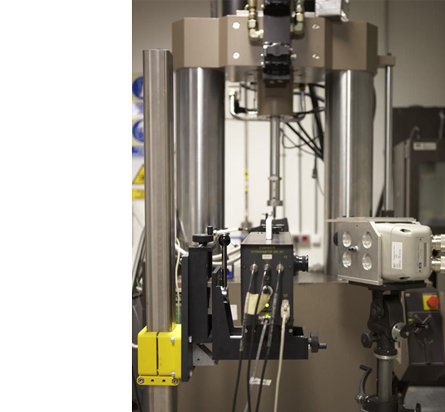 We have several labs in which to verify and validate our solutions. We collaborate with the main mobile material operators and maintenance firms, developing diagnostic technology, equipment and tools for assessing, diagnosing, servicing and verifying the state of operation of the main systems and elements of mobile rail material. 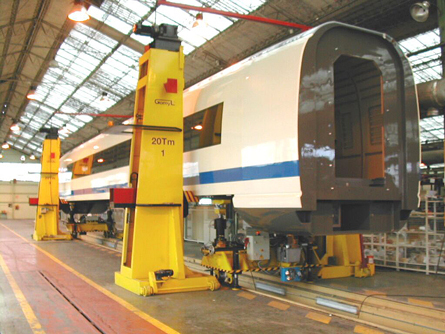 We are experts in applying monitoring techniques, diagnostic algorithms and test equipment and benches and have an important presence in workshops and companies dedicated to servicing mobile rail material. We develop tools and technology to facilitate the servicing of the rail infrastructure. We generate knowledge with regard to vibration and noise transmission concepts, researching new materials and solutions that allow to minimise their diffusion into the surroundings and their relation to maintenance. We have the latest generation of experimental means and theoretical tools to support research in the rail sector. We have the most advanced calculation and simulation codes, enabling us to work in the design of products and processes for this sector. New fuels and engines lab.